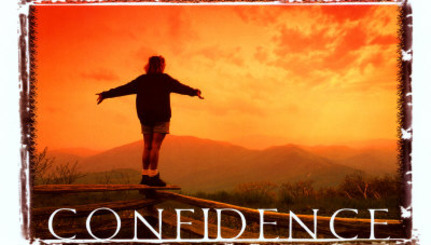 REFLECT: How can I encourage confidence in others? *Ask God to lead someone to you today that needs encouragement in their confidence. RESOLVE: Write down one phrase from the passage that encourages you to speak confidence into others. "For not only has the word of the Lord sounded forth from you in Macedonia and Achaia, but your faith in God has gone forth everywhere, so that we need not say anything." To encourage confidence in others we can do as the Thessalonians did. Paul says that they accepted the Word of Christ WITH JOY. So much joy that it spread through the region and made them examples of followers of Christ. Showing joy in the face of persecution, like the church at Thessalonica did, instills confidence in others by leading as an example. People are always watching our actions. Standing firm in our faith and banding together against persecution is a true show of strength. The power we get each day as we read the word and go out a live it is truly amazing to me. We never know when our time is up, so we must stay strong in our faith for God. We remember before our God and Father how active is the faith, how unsparing the love, how persevering the hope which you have from our Lord Jesus Christ. I love that. God's unsparing love. Hymn "Ring Out the Message" by James Rowe in 1911 fits right in with this passage. Hymn "Send the Light" by Charles H. Gabriel in 1890 actually mentions the Macedonian call. May we do our part in sending the light! How can we incourage confidence in others. I always remember, when gifts of great wealth were brough to the temple, everyone was inpressed. When a poor women gave only 1 coin. Jesus said she has given 10 times what you have given because she give from sacrafice. Encourge others just to give more than they have, Spiritual or physicaly or just give time to loved ones. There are many ways we can sacrifice to bring love to others.